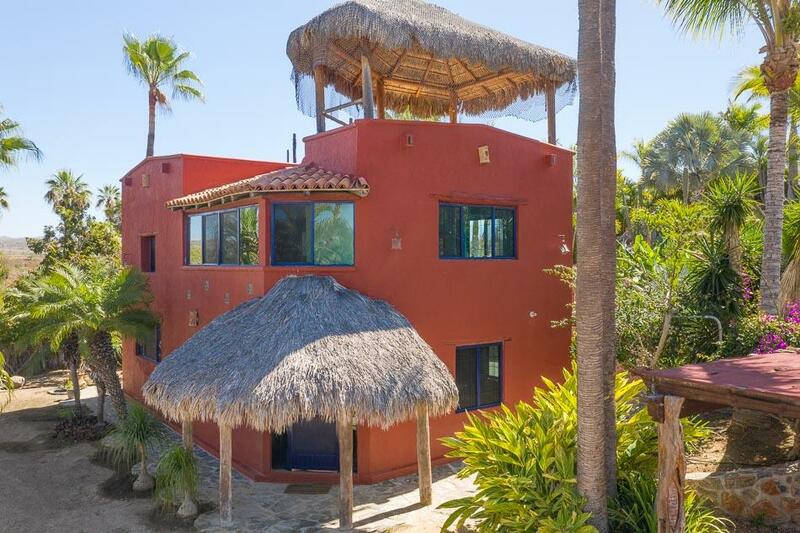 Come one and come all – Surfers, Beach lovers, artists, young/old, spirited/enlightened and open! 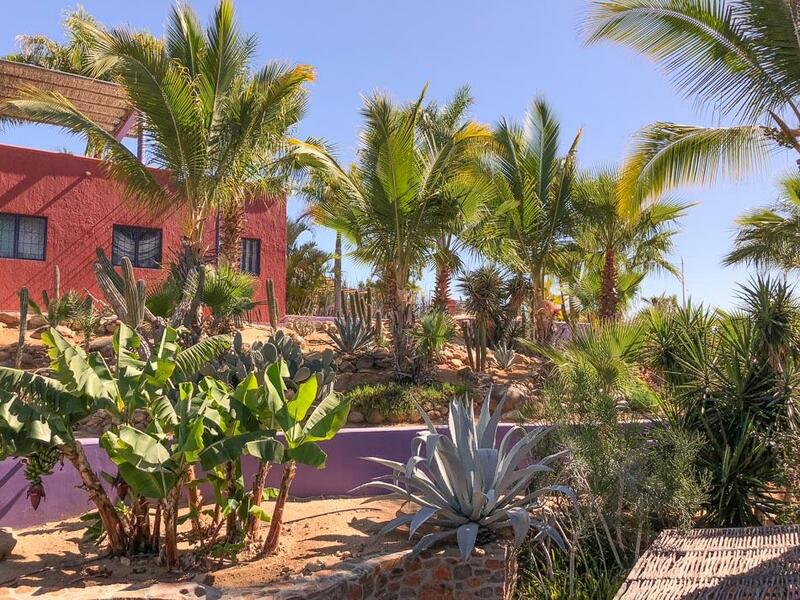 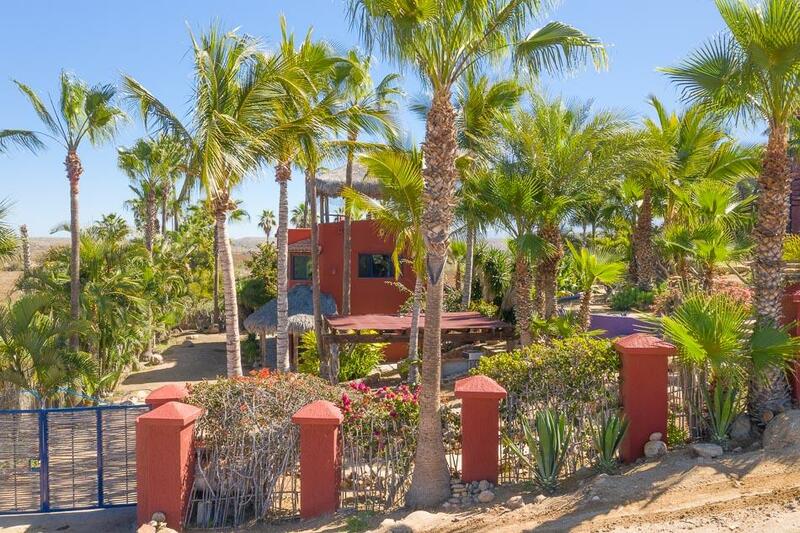 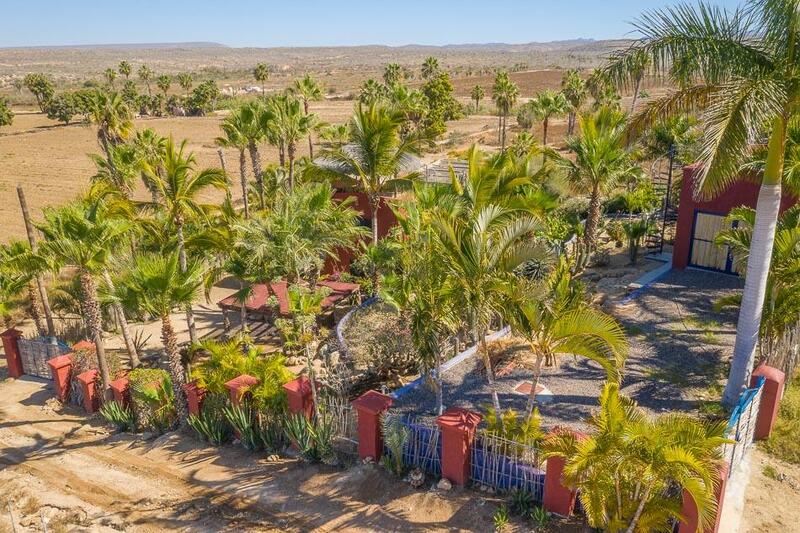 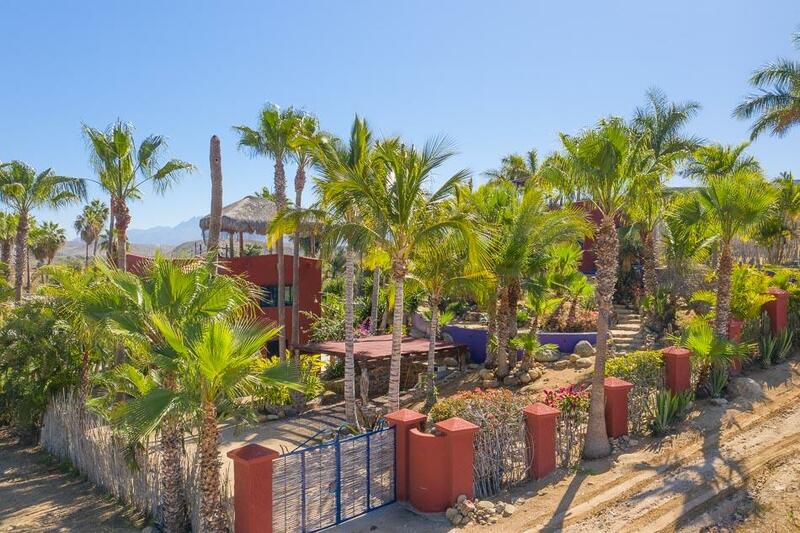 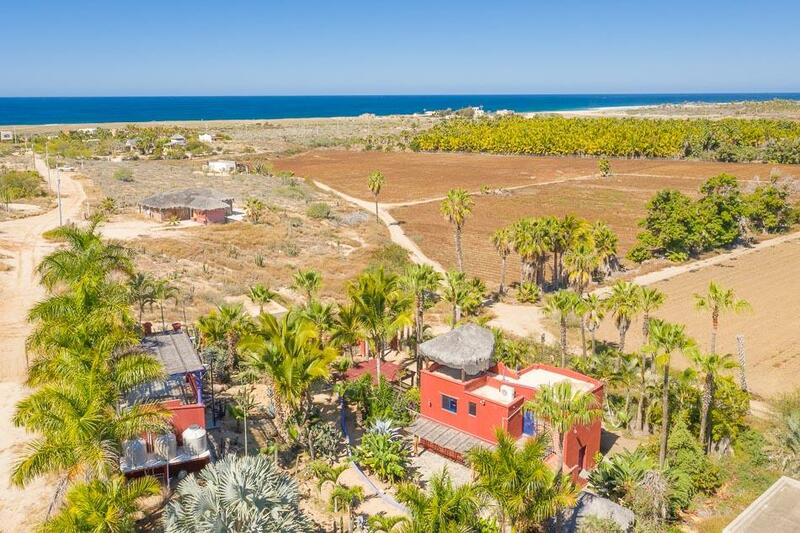 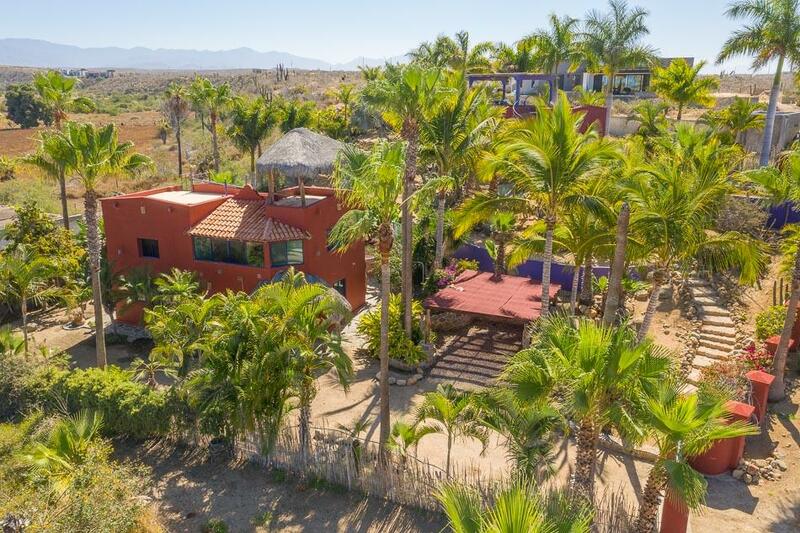 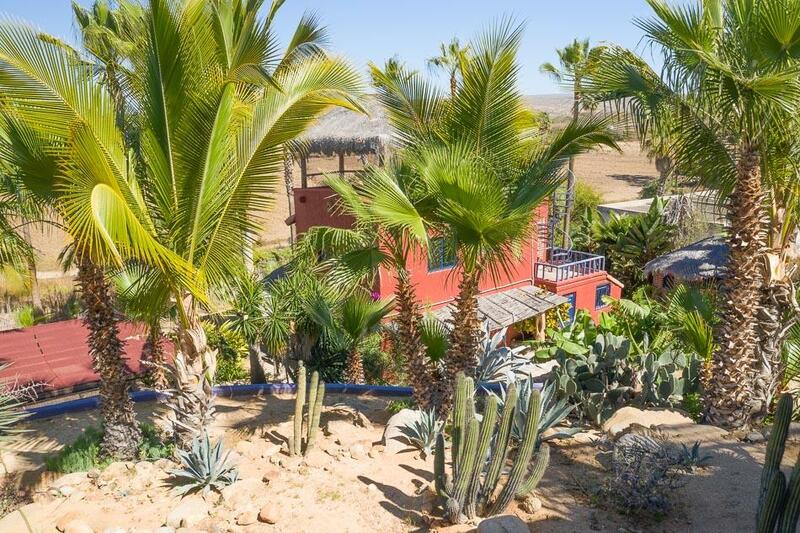 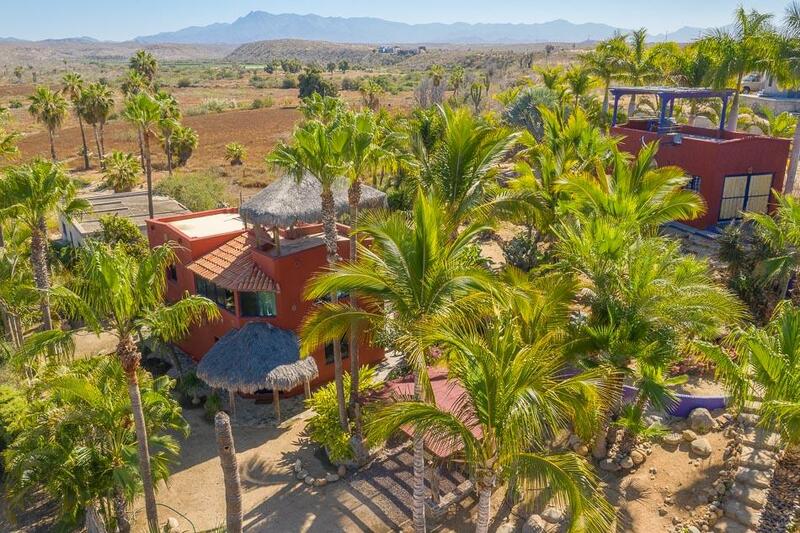 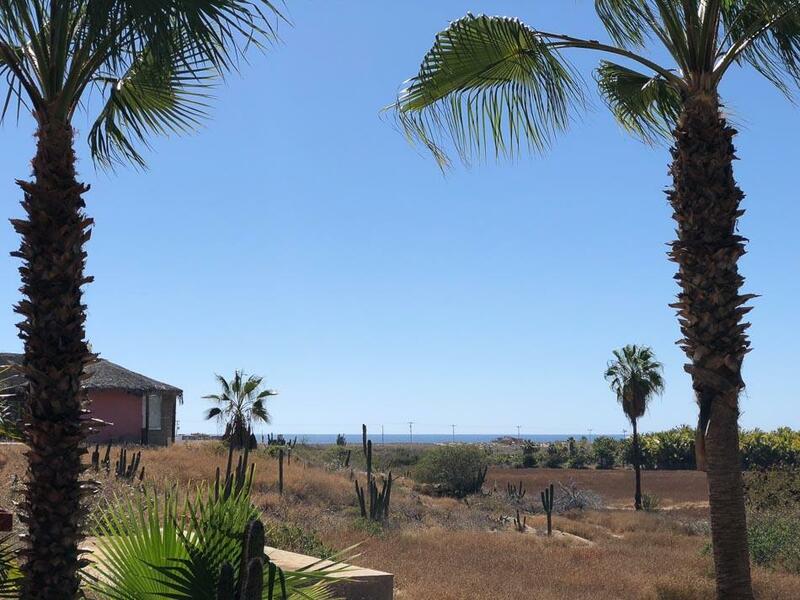 A delightful retreat with Ocean, Mountain and Valley Views surrounded by swaying palms, Baja cacti, flowers and tropical breezes. 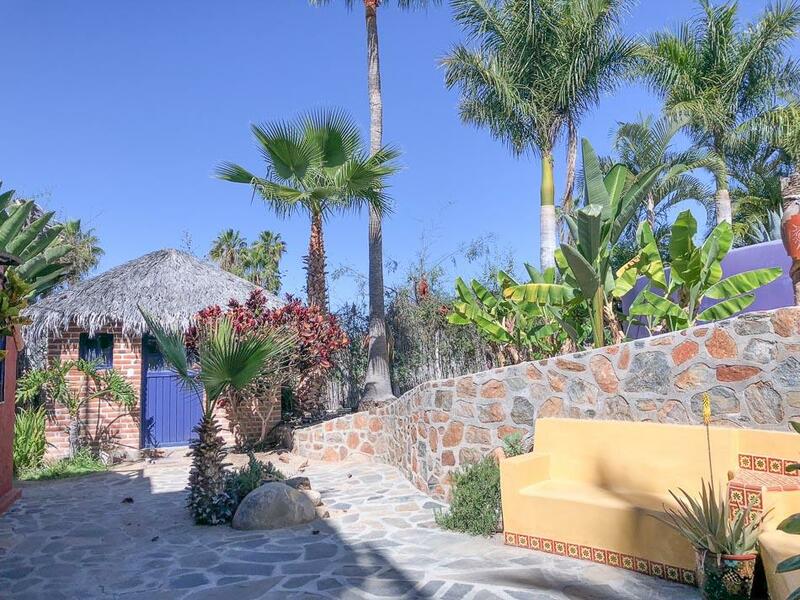 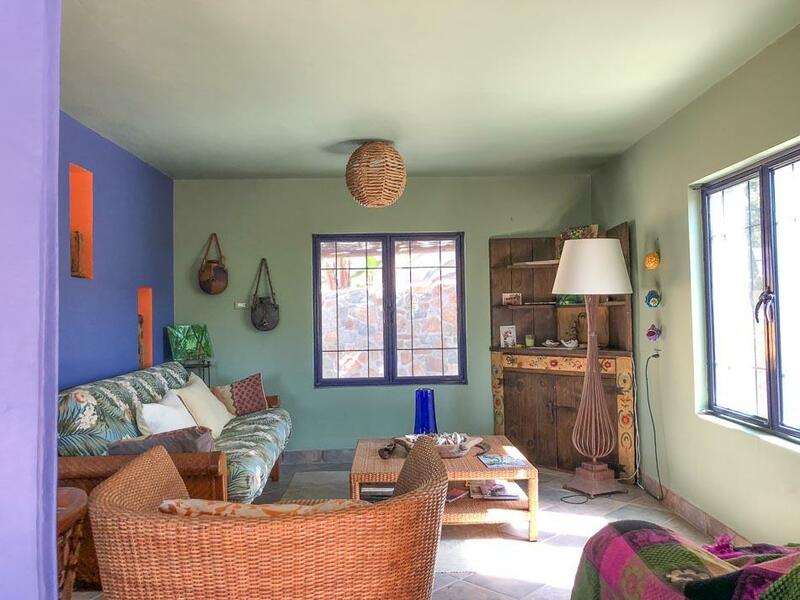 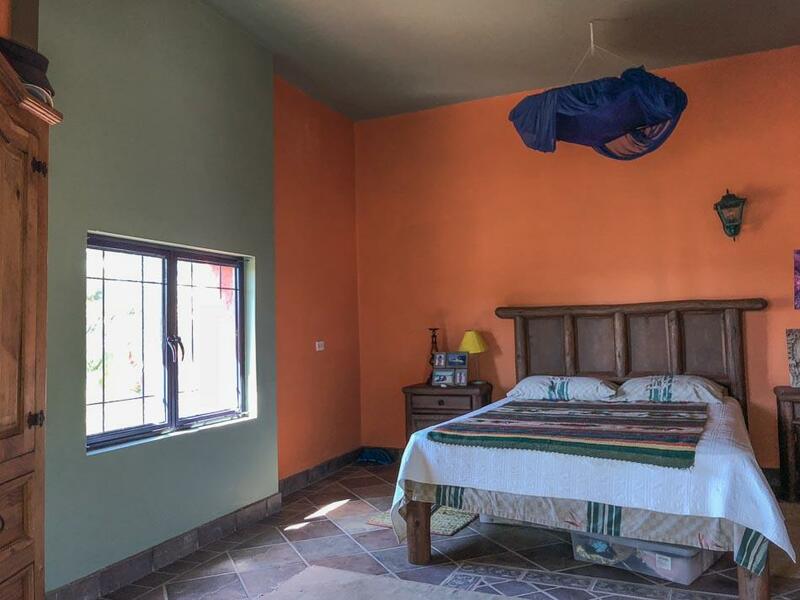 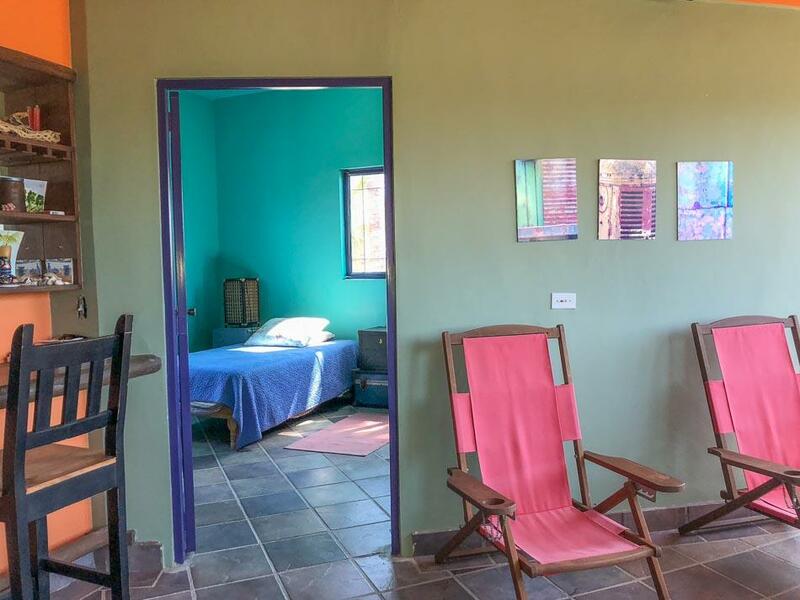 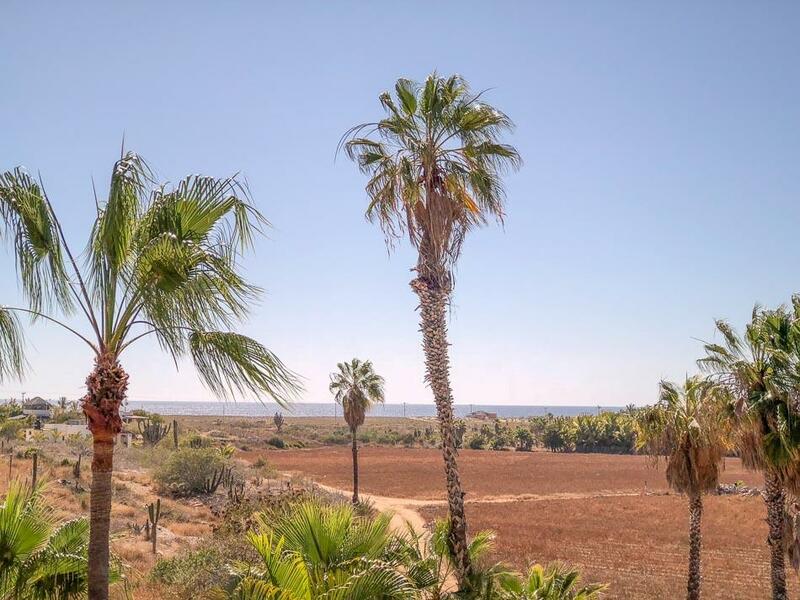 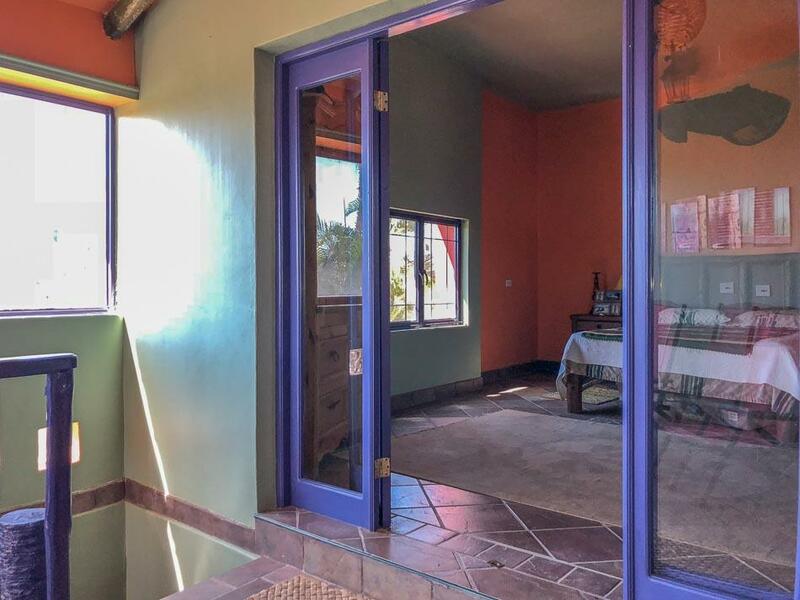 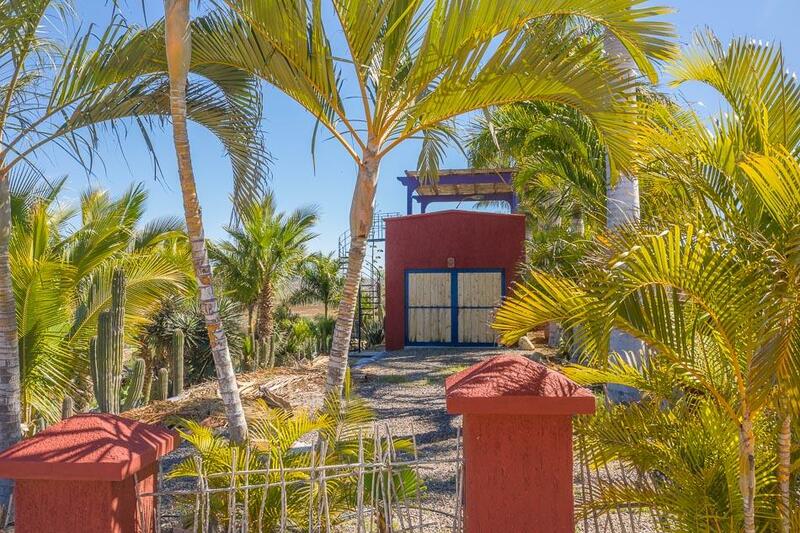 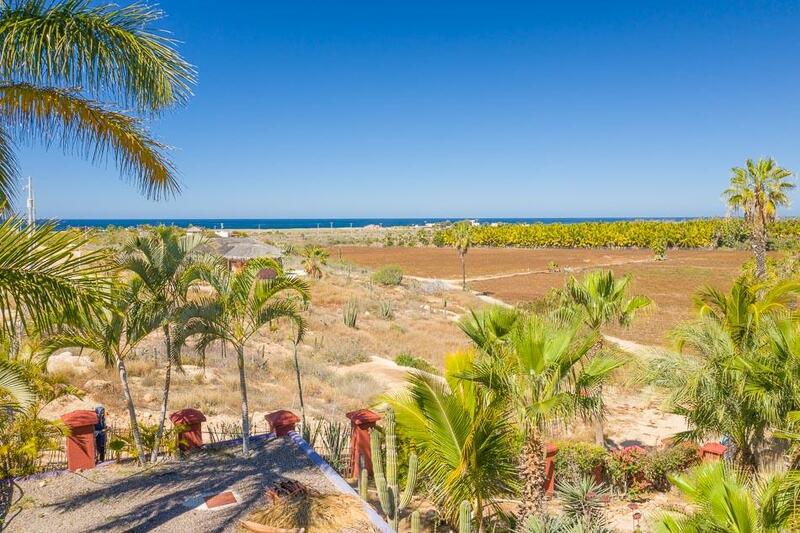 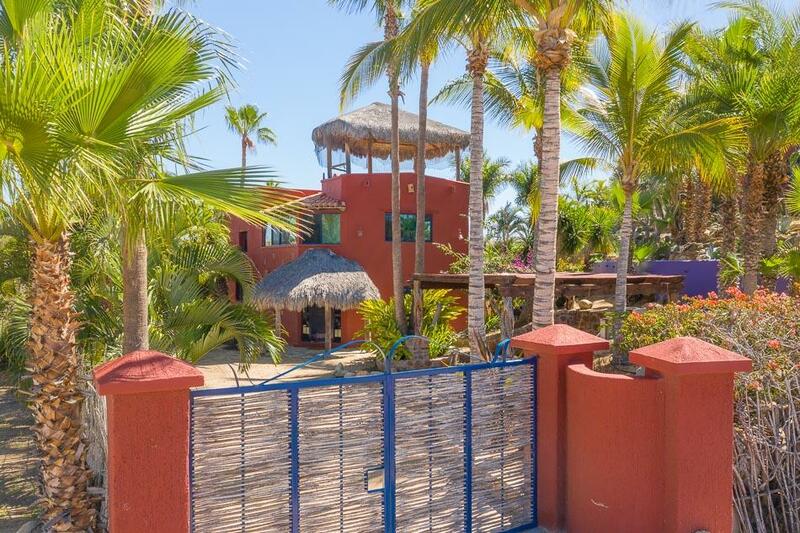 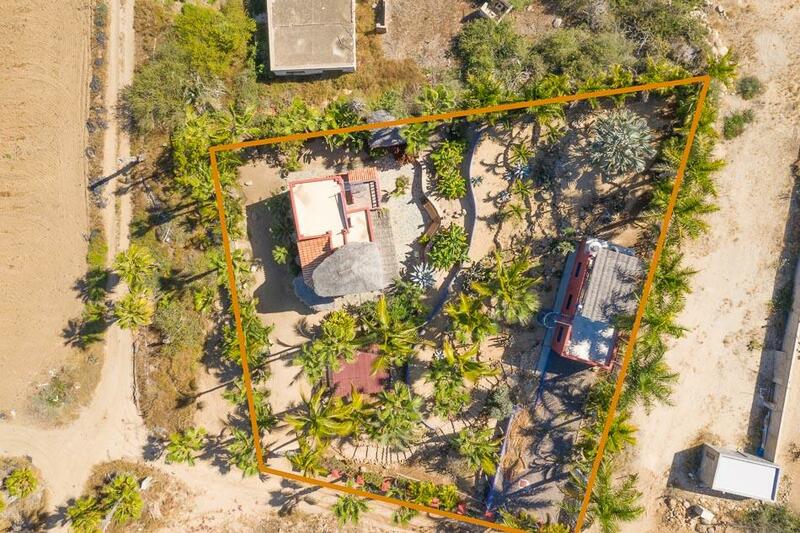 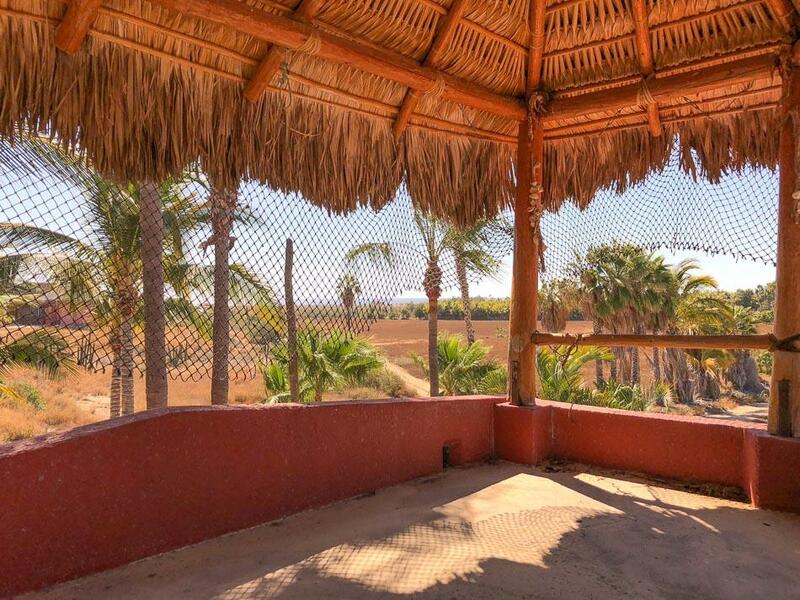 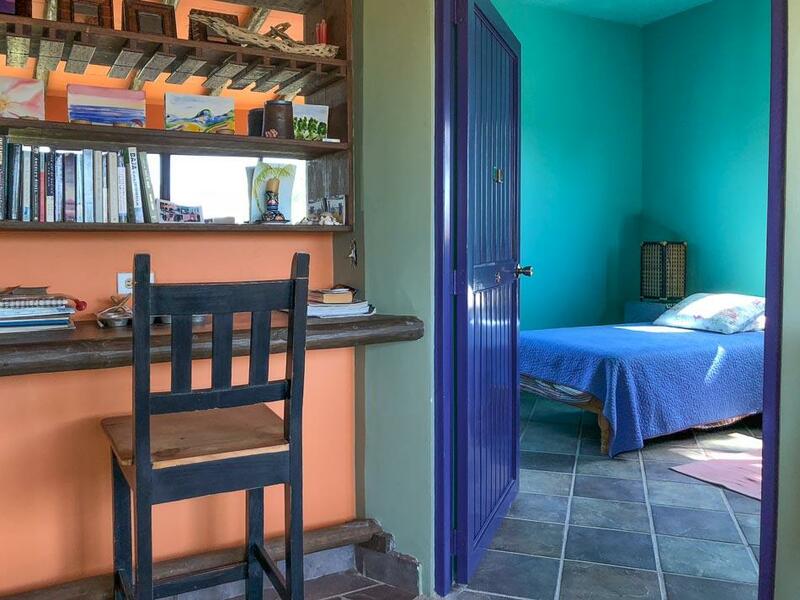 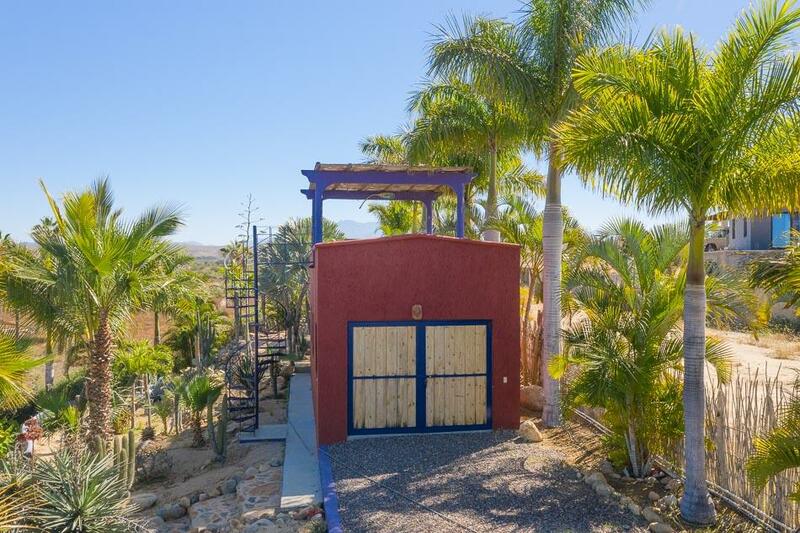 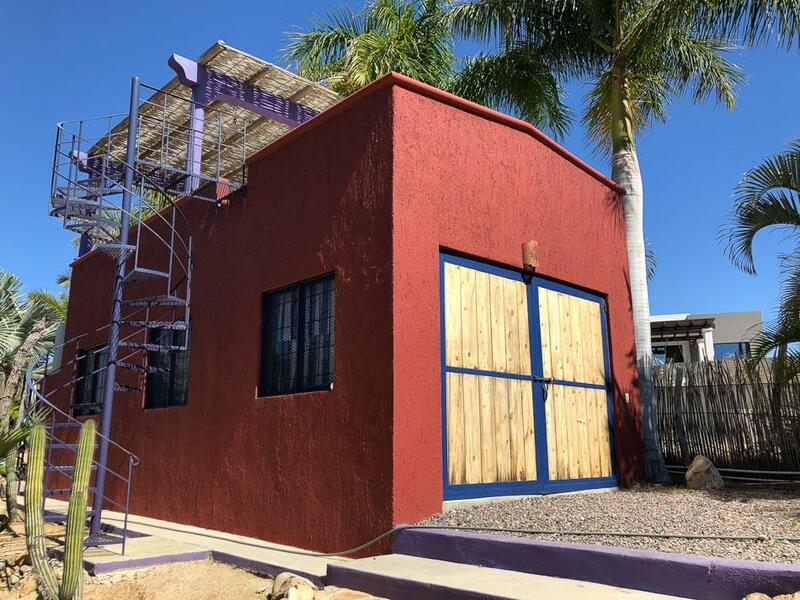 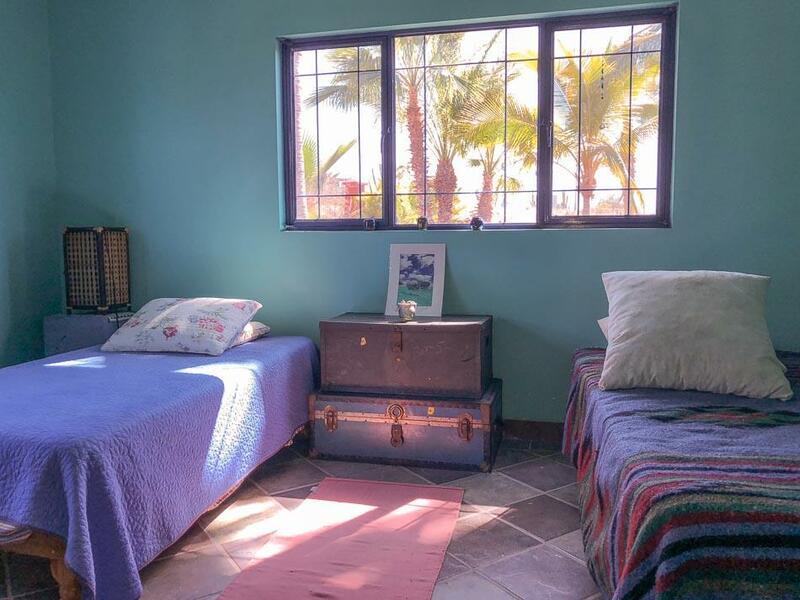 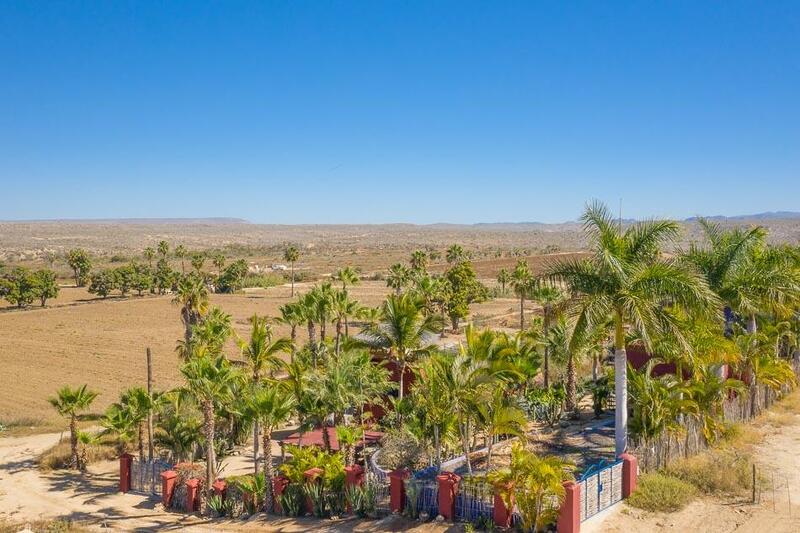 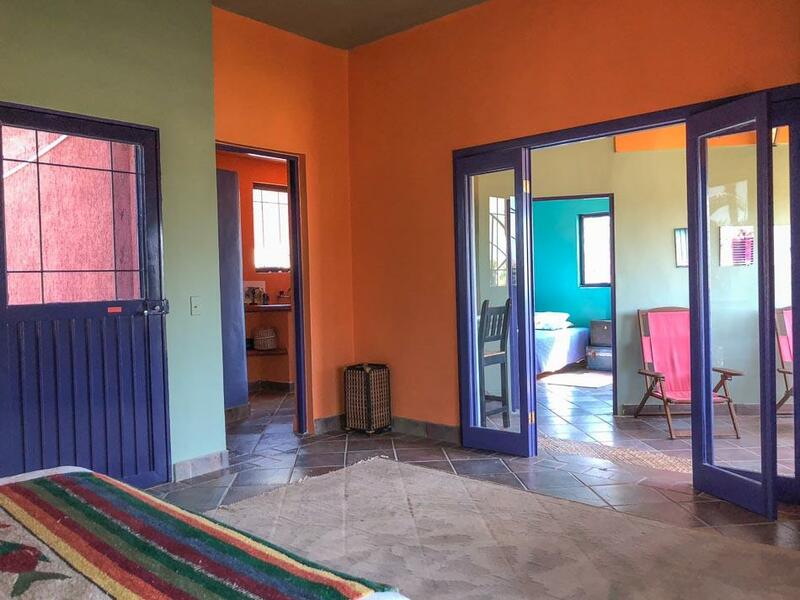 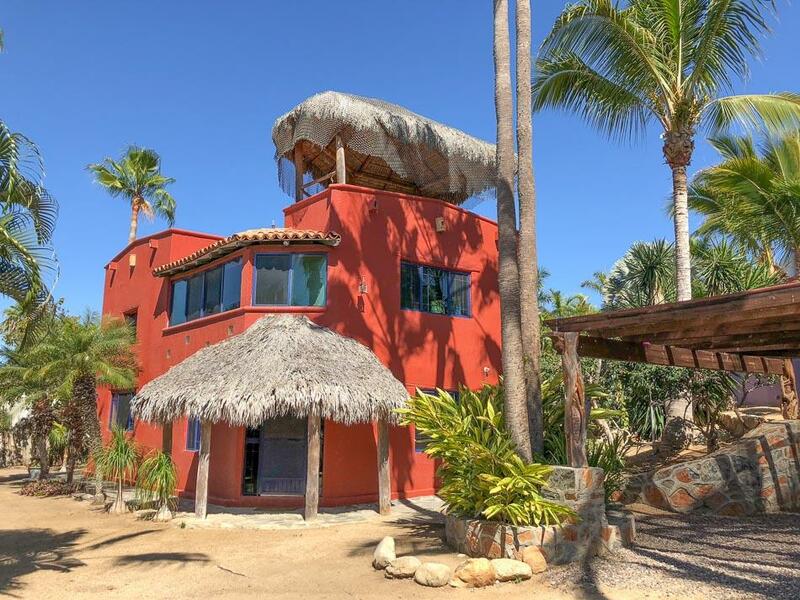 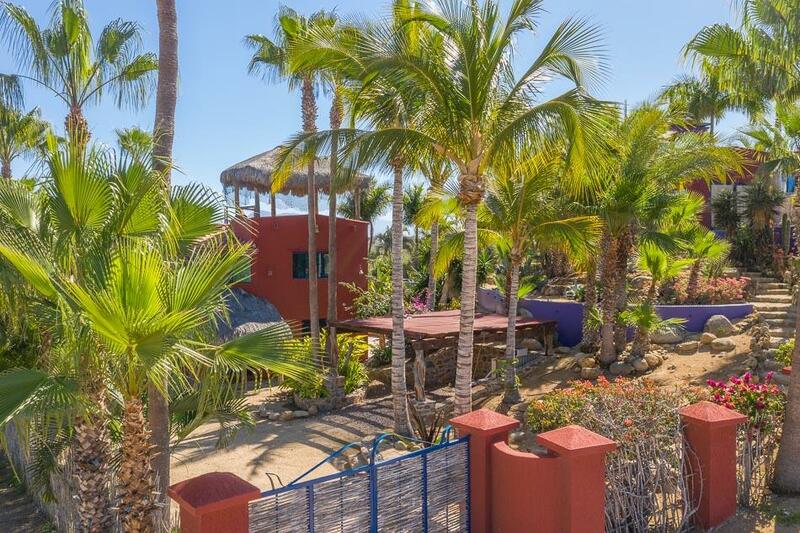 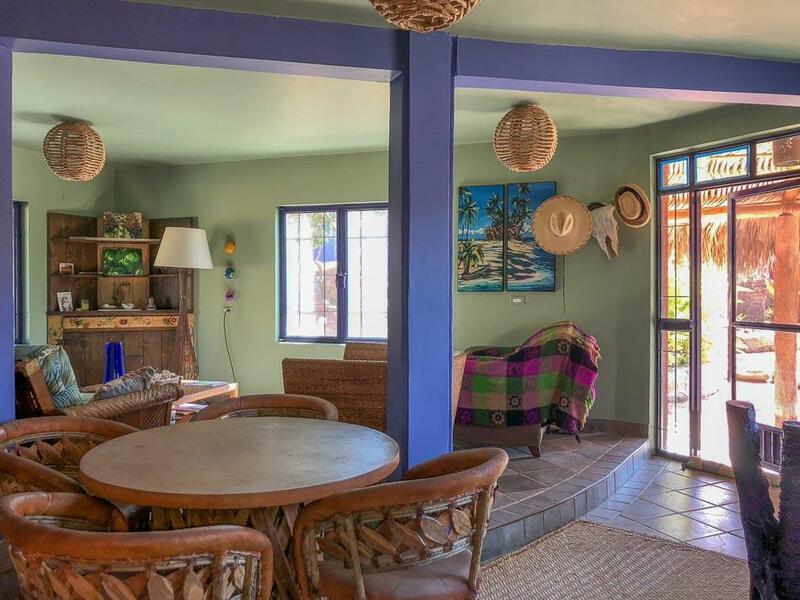 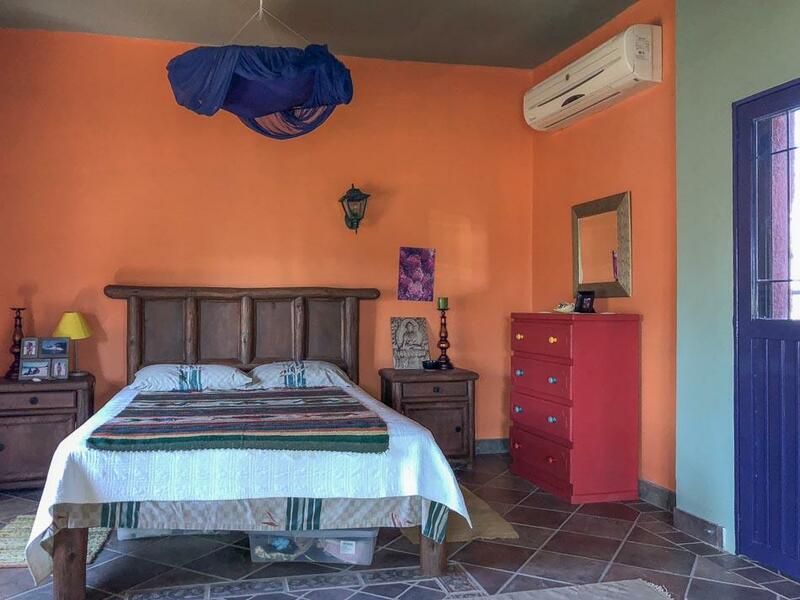 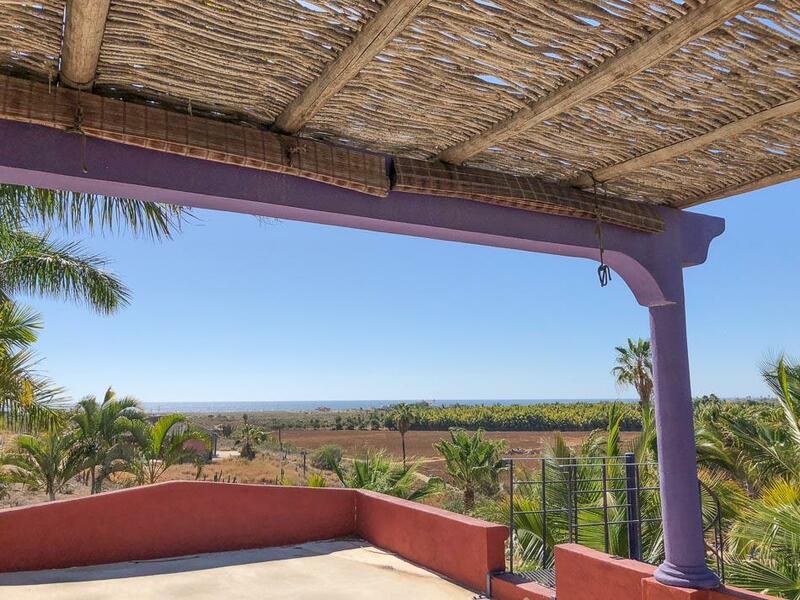 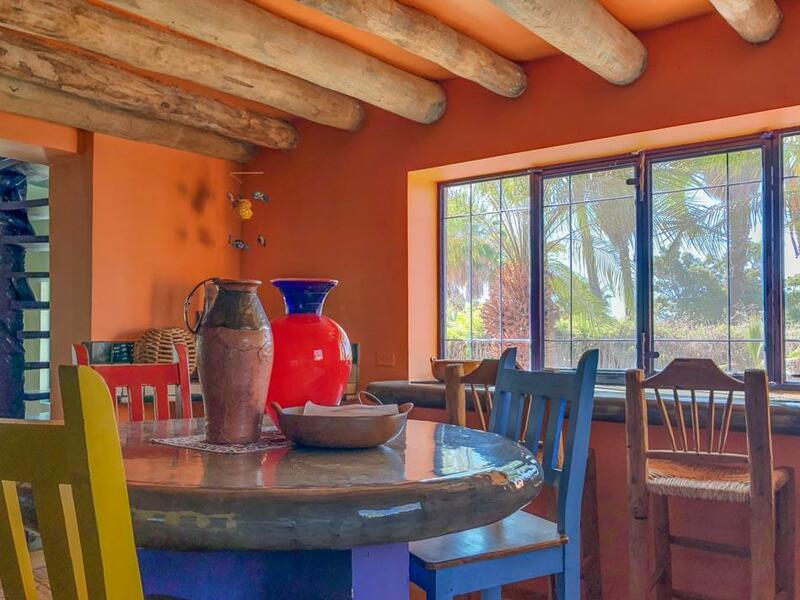 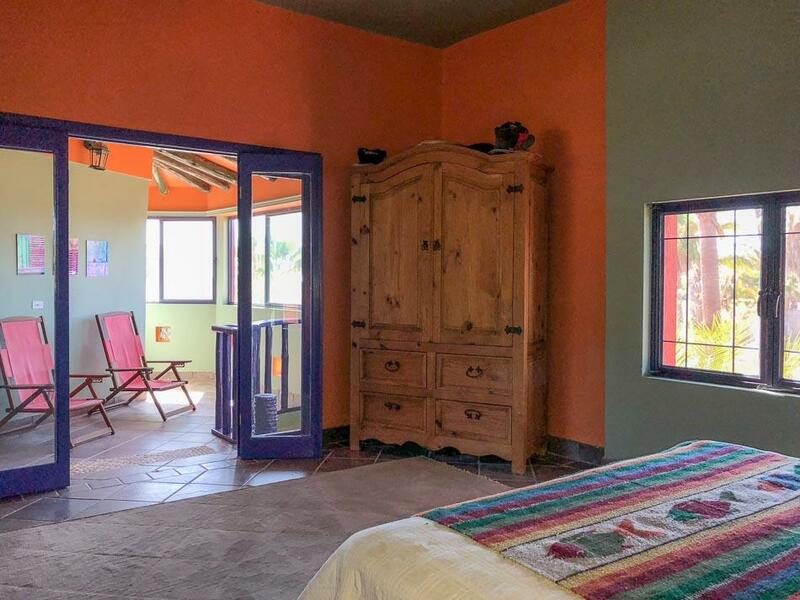 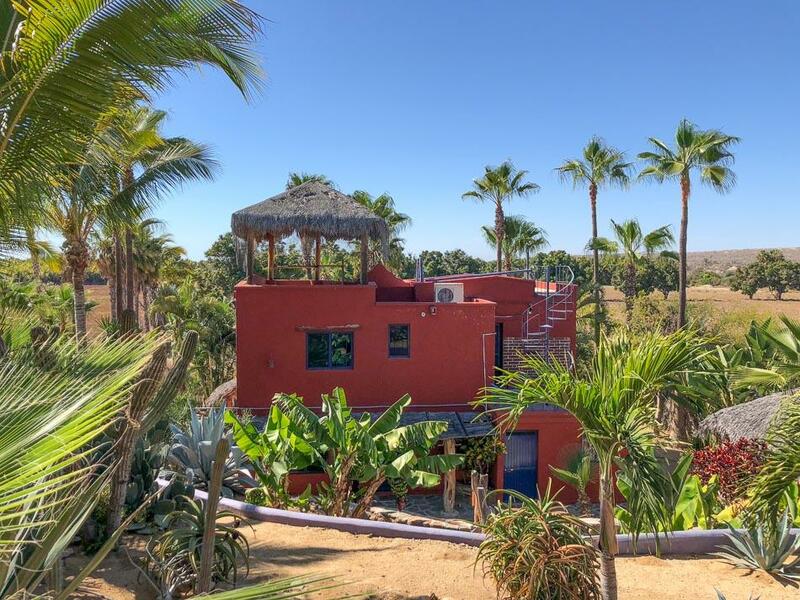 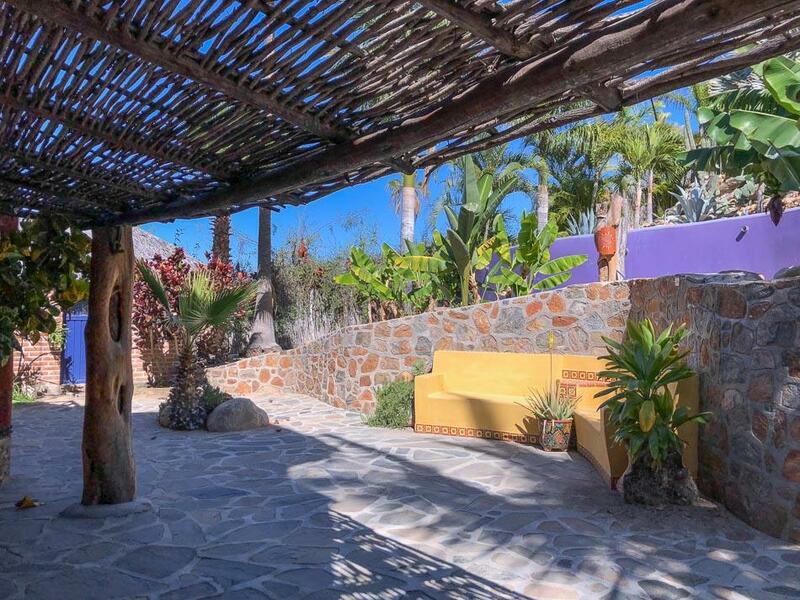 Relax and enjoy your cozy 2 Bedroom/2.5 Bath home with plenty of outdoor viewing decks to hang your hammock and sway yourself to sleep to the rhythms of Baja. 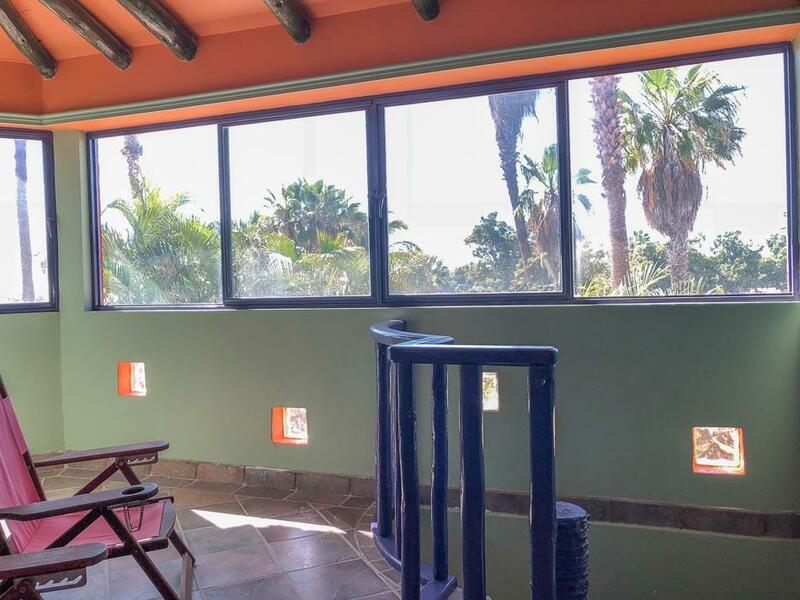 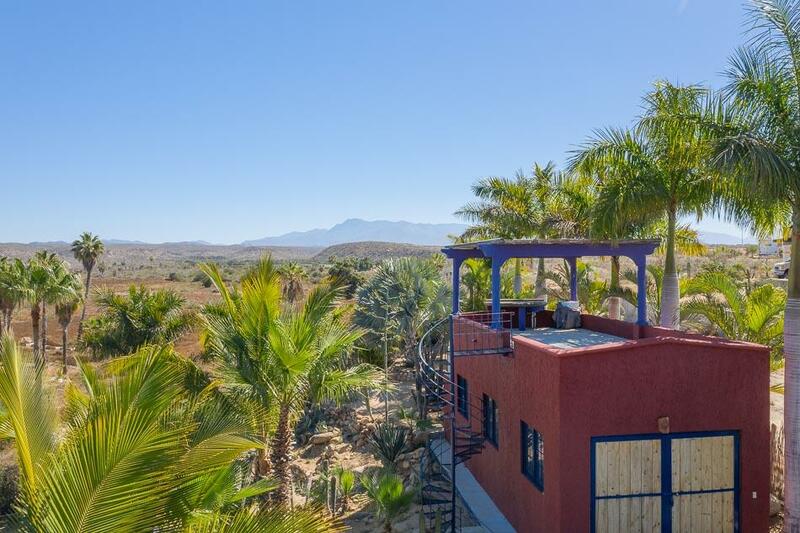 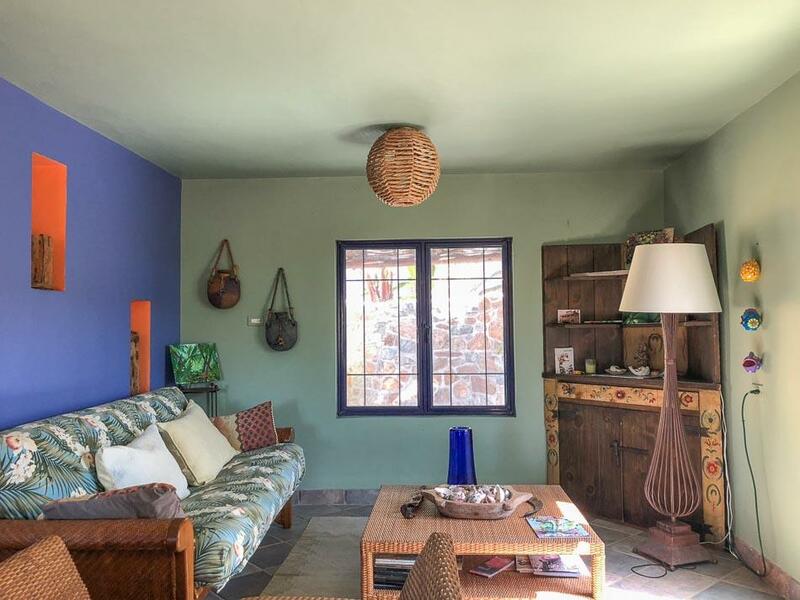 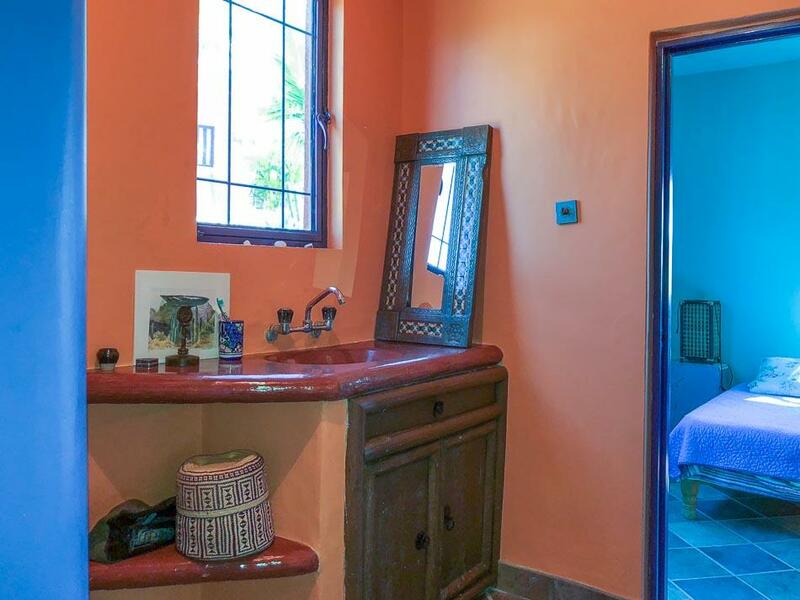 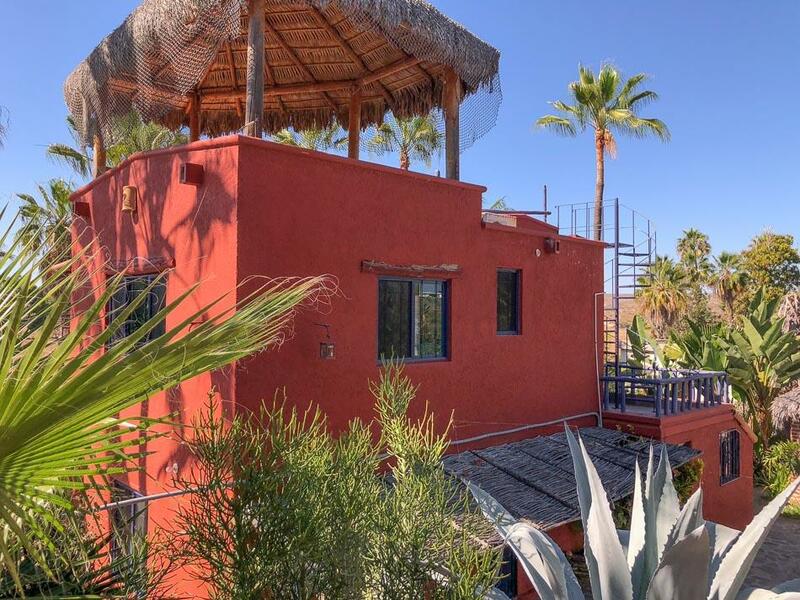 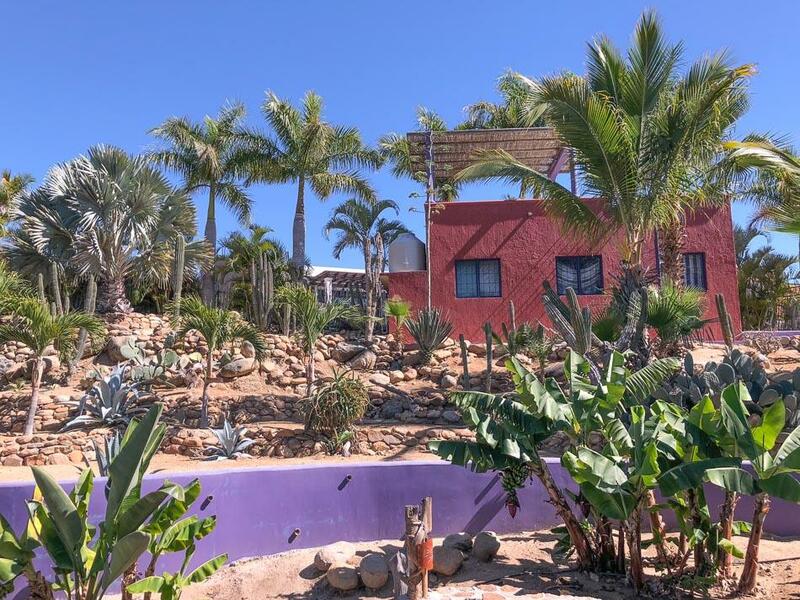 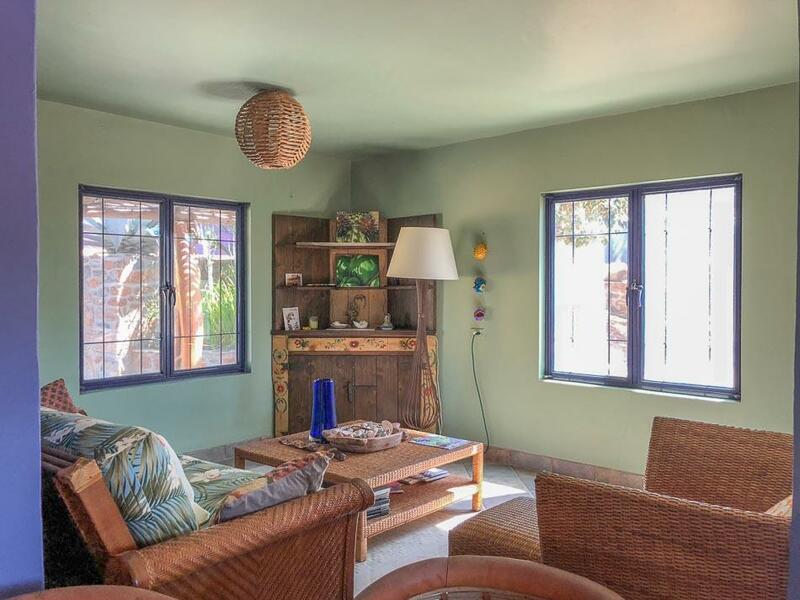 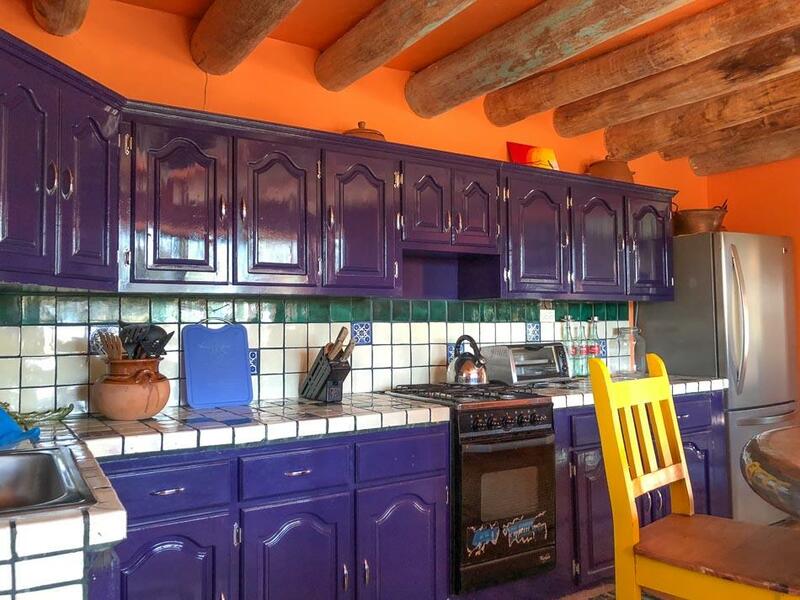 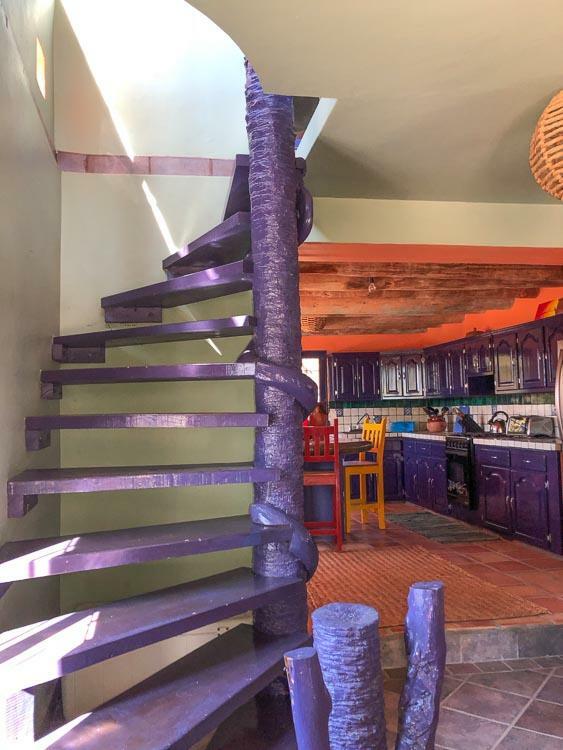 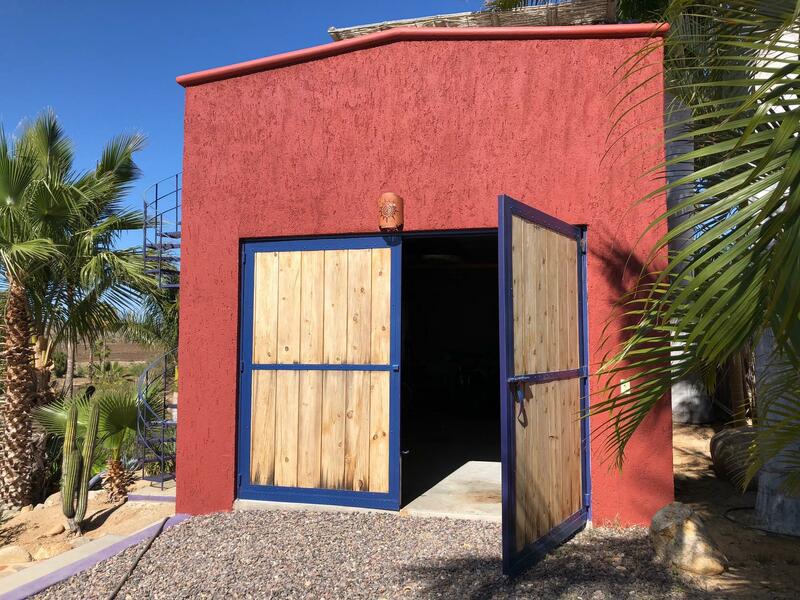 Well loved with plenty of Mexican tiles, custom cabinets, polido, winding palm-tree staircase and various other winding staircases to the viewing decks. 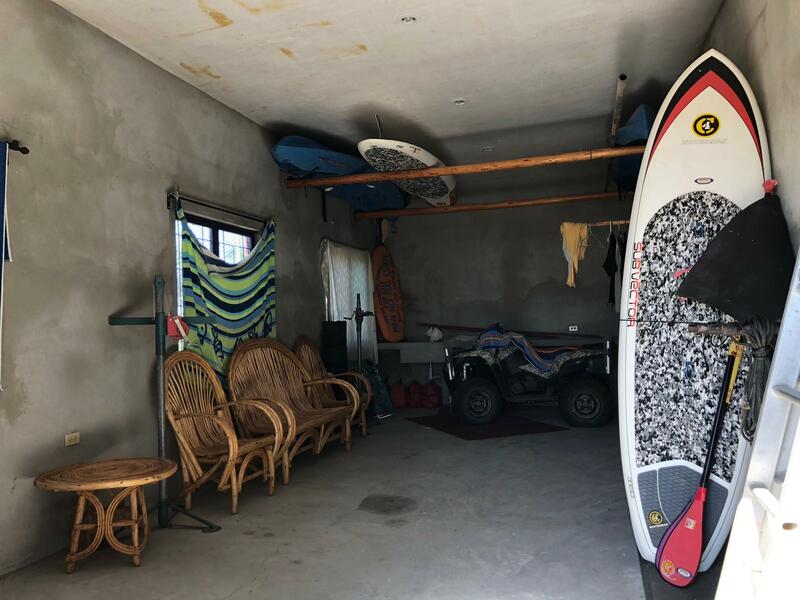 2-car garage with viewing deck. 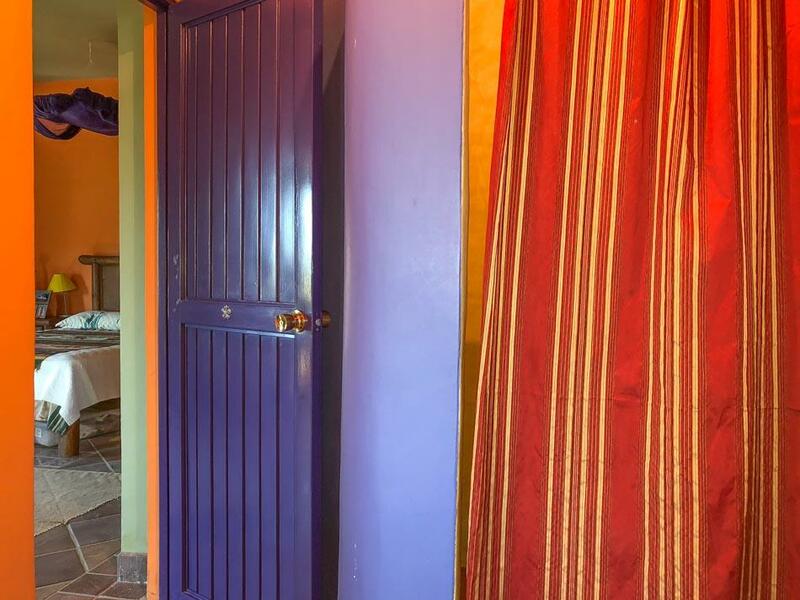 Separate laundry room and bodegas. 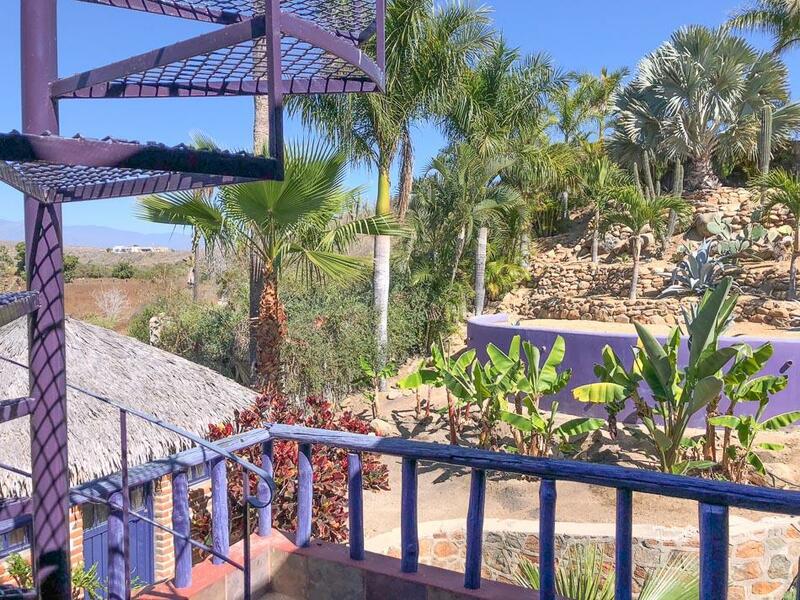 Lush and Tropical. 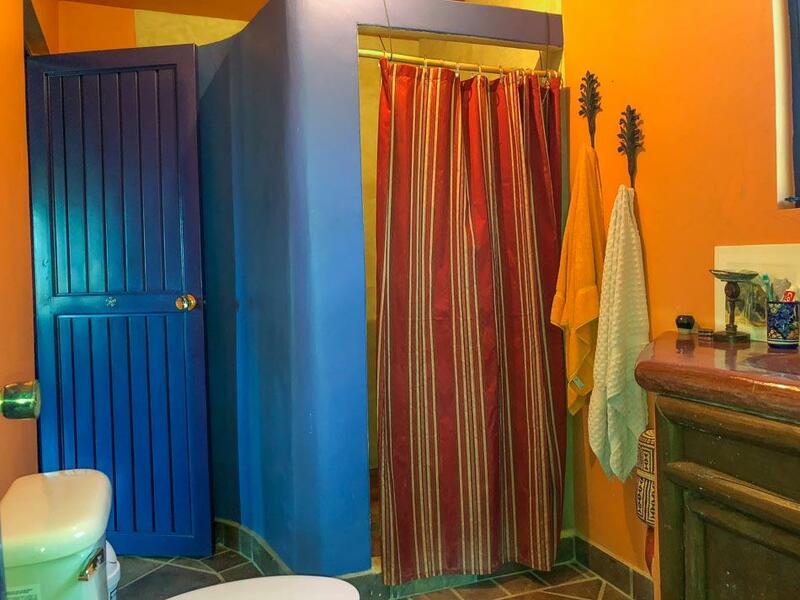 Serene and private. 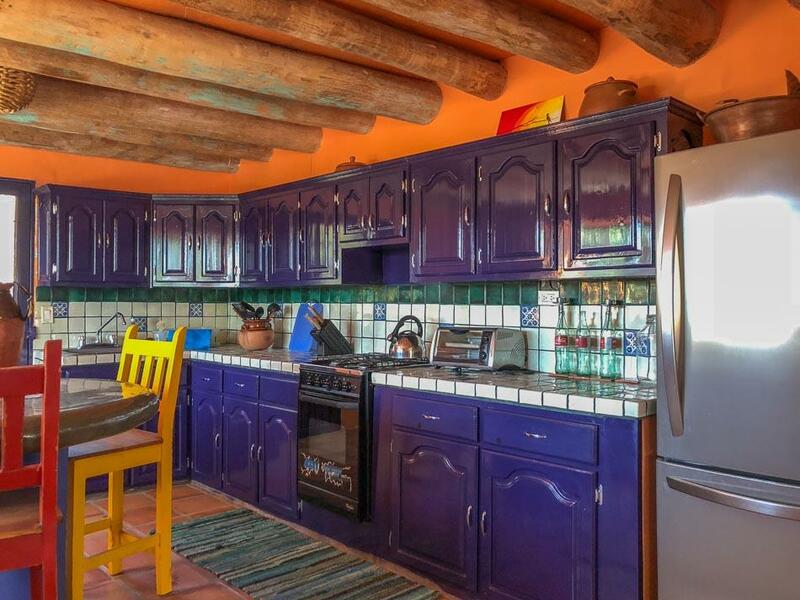 Furnishings included, CFE. 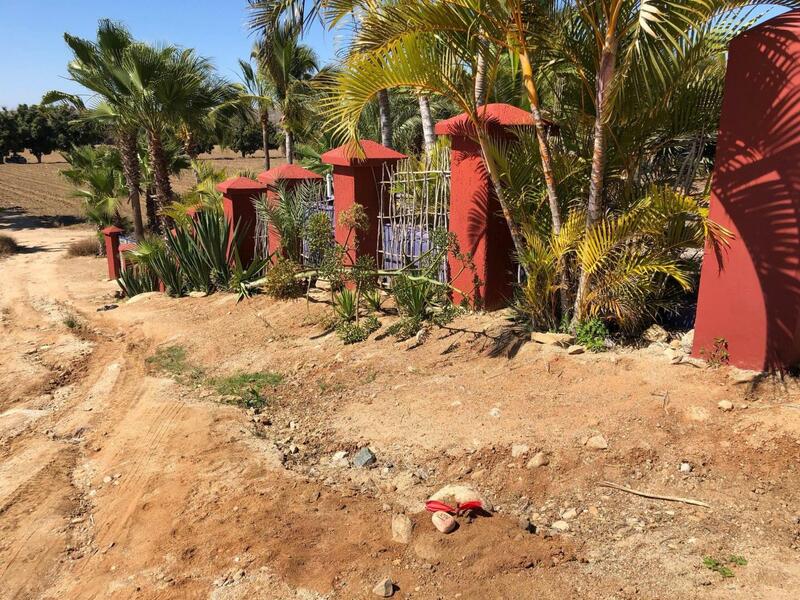 Municipal water trucked, Ejido water.